Tired of a disorganized bathtub? Say no more to your troubles with this easy and simple solution! 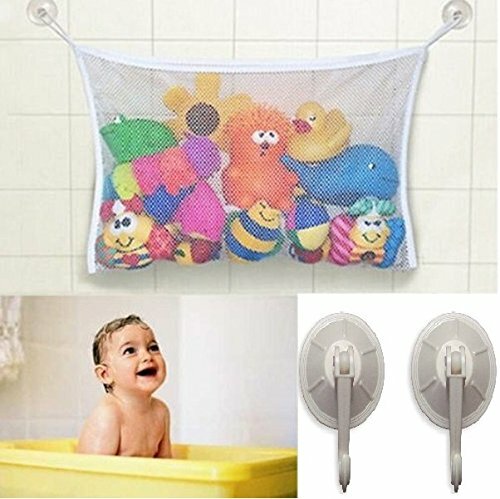 The New Bath Toy Organizer with 2 suction cups, and 2 Extra strong suction cup bonuses! 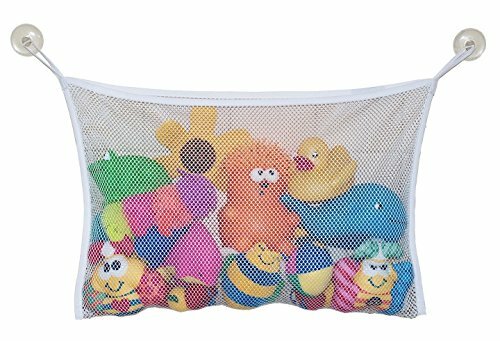 • The bathtub organizer is one of the largest sizes (18in x 14in) which can fit a lot of toddler toys, or any other product! • The net stays close to your wall out of your way when not in use. 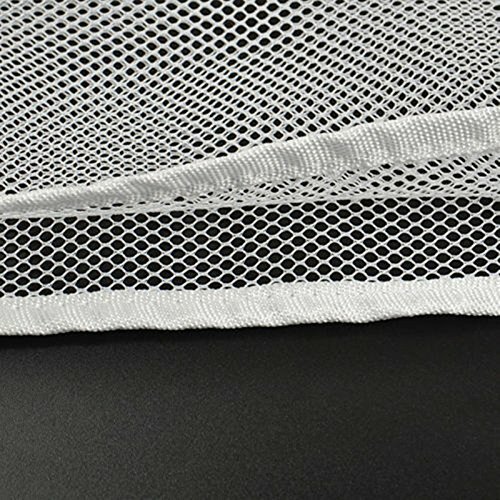 • High Quality no-rip mesh keeps durable for ages, and keeps mold away. 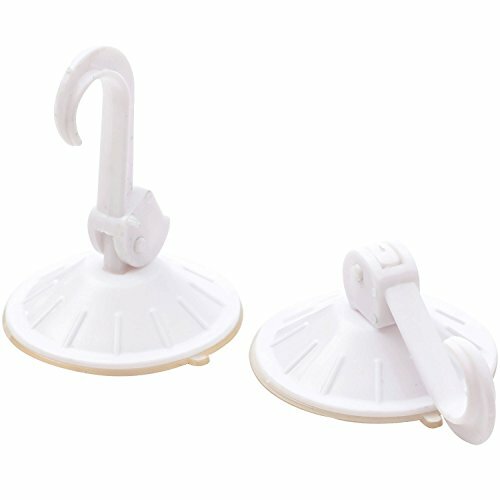 Free Bonus: Two heavy duty suction cups give you the freedom to easily take the bag off the wall at any time, or to hang bathroom accessories. The choice is yours so have fun! Note: The bathtub organizer suction cups are very strong and of the highest quality/durability. This is a must have for all shower and bath tub accessory! Matches any color arrangement you already have, simple plain white with a quality finish. Don’t have children/kids/toddlers/baby? This is a multi-use organizer for anything! Here are just a few ideas of what this can do for you to de-clutter your bathroom! 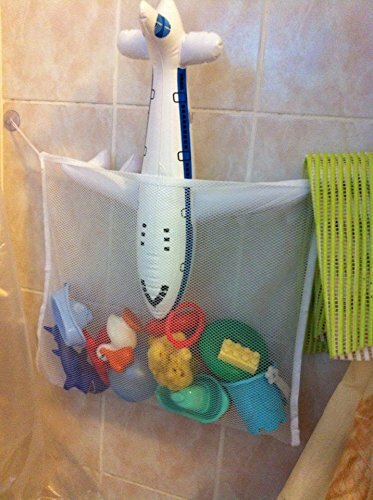 •Hang your towels or bathing accessories and place them anywhere on your glass/tile! 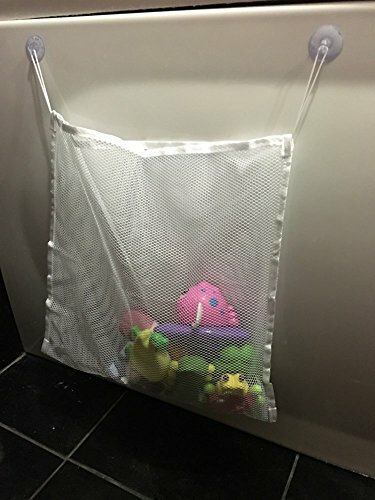 •Use this neat net storage bag virtually anywhere! Still, suction cups are not made to stick on a porous surface. The Best Part of All: We are an honest, small company and stand by our products of quality and the best service. We offer a 1-year warranty sign-up for all our products, should you ever come across any issues of use. If you EVER experience any issues with the bag or the suction cups, simply contact us and we will do whatever we can to assist. This product may not work on textured surfaces. I want to ensure your satisfaction is perfect! 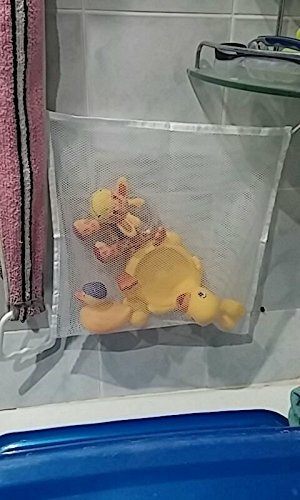 THE BEST BATH TOY STORAGE: Messy bathtub during bathtime? Save space and clean up your bathroom today! Putting toys away in the organizer is easy and keeps your bathroom neat with this accessory! 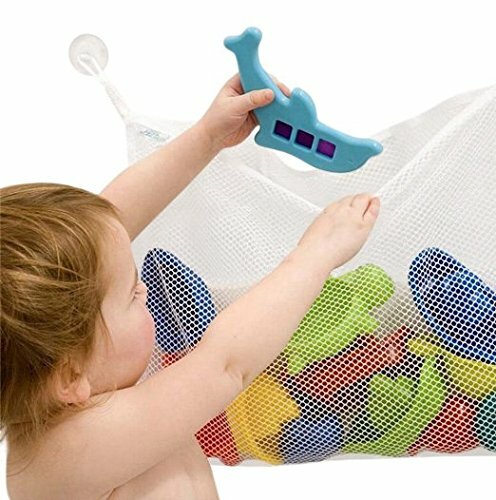 The sturdy bag stays close to your tile/shower – great for infants, children, babies, kids, and toddlers! BONUS: Two extra strong hooked suction cups are included if additional suction is needed for your tile. Make sure you enjoy bathtime in the bathtub! 100% RISK FREE GUARANTEE: We offer a warranty sign up program – 1 Year Guarantee on all our purchases. MOLD FREE TOYS: Wet toys aren’t fun, and they lead to nasty black mold. Keep your child’s toys clean and mold free. 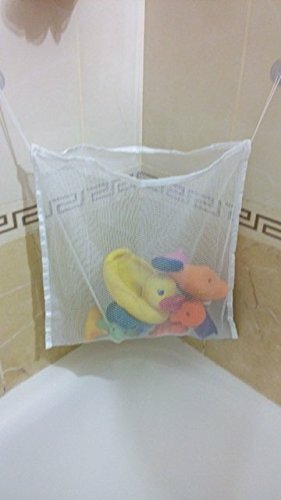 Mesh netting allows for water to completely drain from the bag, and prevents mold by allowing a natural air dry to all your child’s toys.